BlueStacks Inc updated their famous BlueStacks Android Emulator to Android Nougat. So far, the BlueStacks App Player has been running on the Android Marshmallow. The Nougat update was long due. This is the only Android emulator that has made its way with the Android Nougat running on-board. The latest version of Android running atop of a seamless emulator is what BlueStacks is known far and probably this is why BlueStacks is the most popular and most widely used Android emulator. 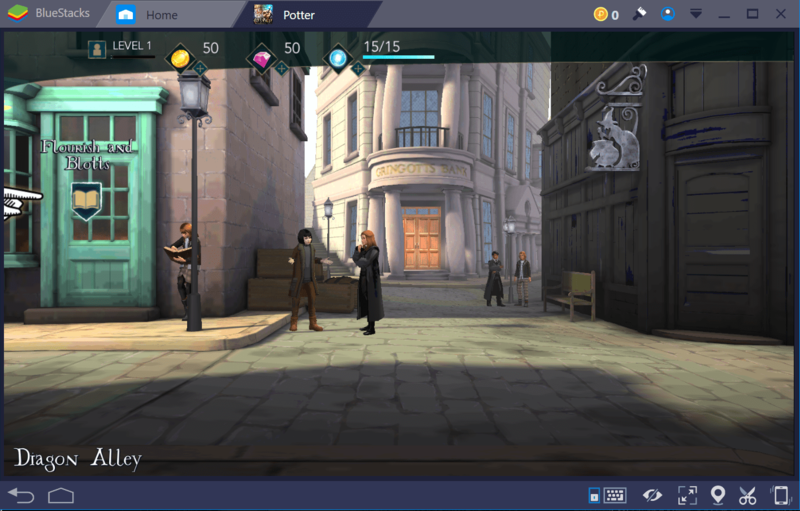 The recent instalment of the BlueStacks was BlueStacks 3. The company overhauled the entire UI in BlueStacks 3. All the bugs reported in BlueStacks 2 were fixed with the new update. 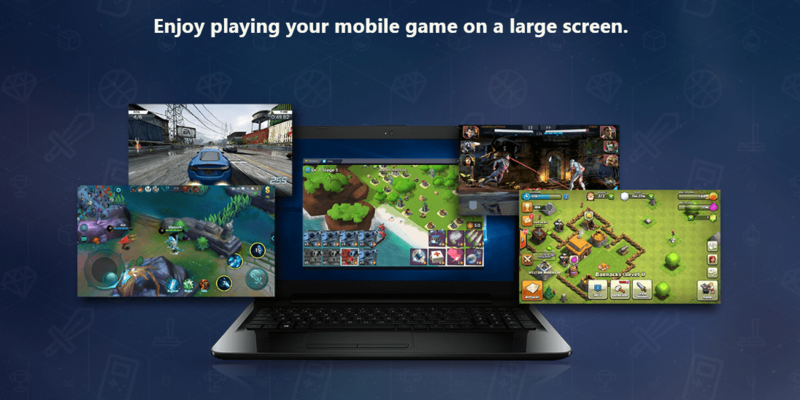 The BlueStacks 3 also brought features like Multi-instance, custom keyboard controls, and many other such features. 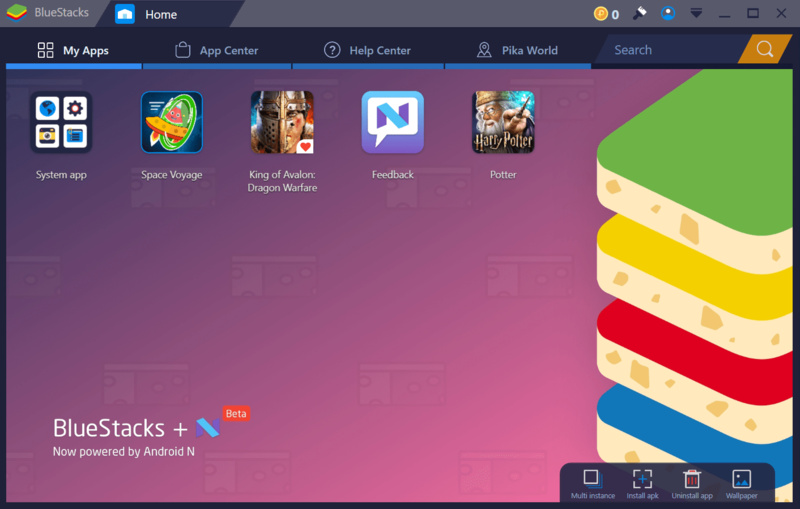 The new version of BlueStacks, which is named as BlueStacks + N, is built atop of the BlueStacks 3 UI. 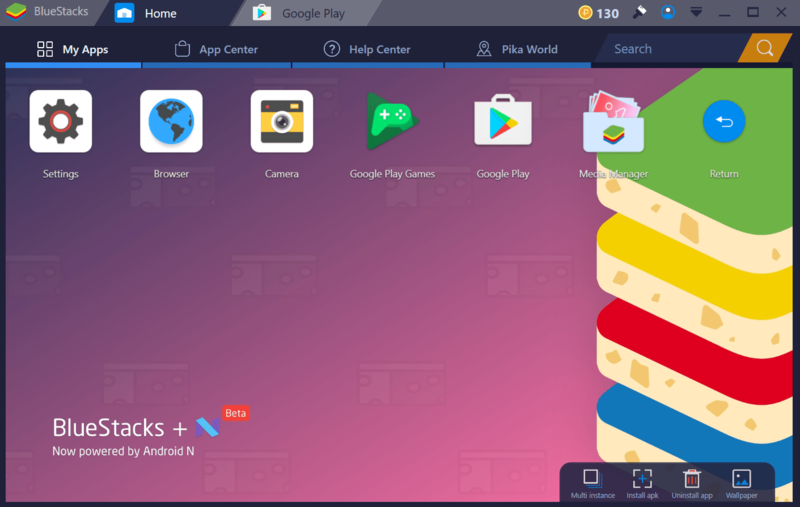 While BlueStacks 3 was already quite stable, you can build more good stuff from the BlueStacks with Android Nougat. BlueStacks + N has a few new features in the UI now. 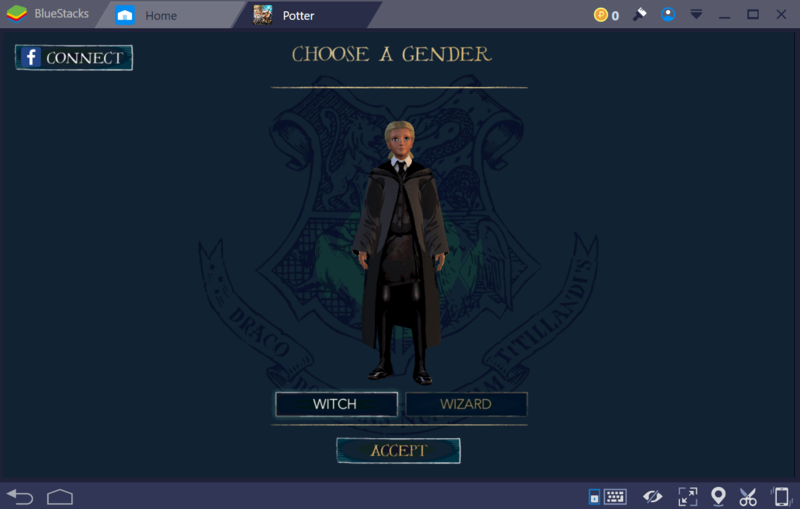 As soon as your BlueStacks + N opens up, it will ask you to customise your avatar for the Pika World. This Pika World is basically the same BlueStacks Friends feature that you saw in the BlueStacks 3. 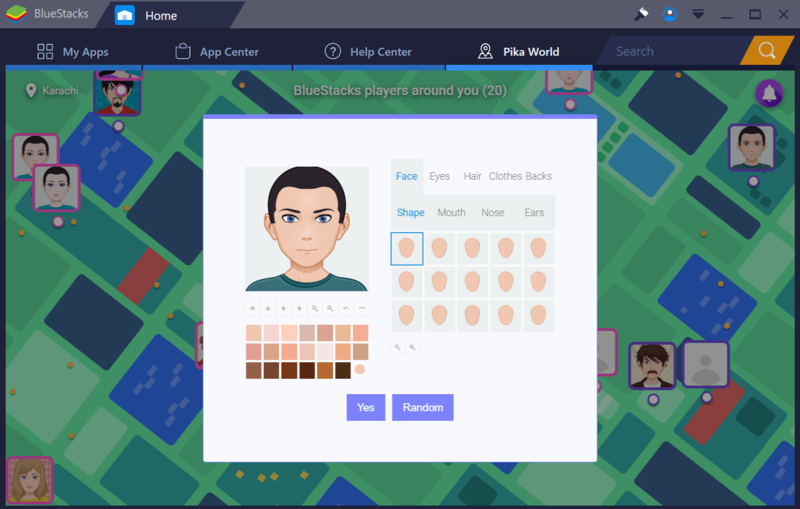 Pika World will show you a map with the avatars of BlueStacks users who are nearby You can now set a wallpaper of your choice in the emulator. This feature is for premium BlueStacks users. However, the background in the My Apps screen is now Android Nougat themed which looks incredible. The App Center has 4 categories including Top Charts, Collections, Preregistration and Space Voyage. Under the Preregistration tab, you can find the upcoming Android games and register for them to earn extra rewards upon their release. Space Voyage is a mini-game that you are playing with your Pika fellows. 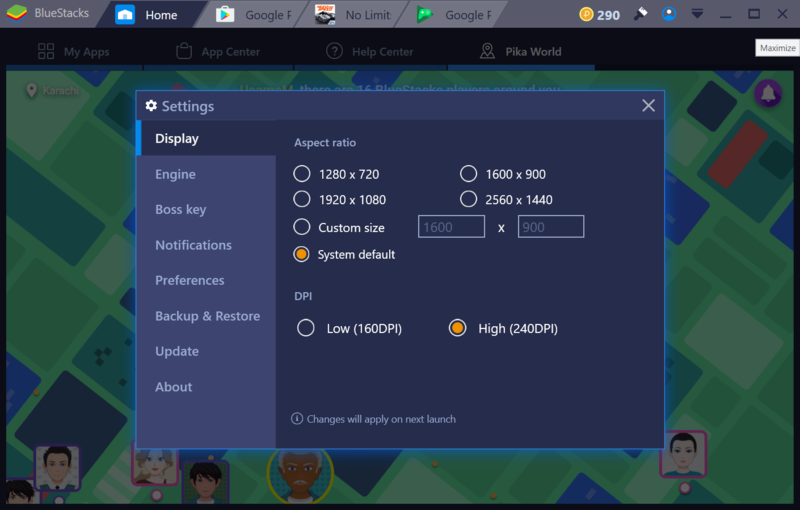 In the top menu bar of the new BlueStacks, you will find the Pika Points. These Pika Points can be used to redeem skins for the games and your BlueStacks app player. Right next to the Pika Points, you can find the Skins library. Next to the Skin Library is your own profile. There is a drop-down menu next to the account icon. Under this drop-down, you can find the Settings of the app player and also beginners guide with other options such as Volume Control. From the settings of the app player, you can set the amount of RAM you want to use, the DPI you want to use. You can also check for latest updates for the emulator and all other basic settings of the BlueStacks Engine. In the My Apps > System Apps tab, you can now find a Media Manager. This is responsible for handling all of your audio, video and image files. You also find the settings application with a brand new UI of the Android Nougat. Other applications like Google Play Store, Camera and Contacts will also appear in the System Apps tab. What makes this new version of BlueStacks superb is the responsiveness. BlueStacks now runs extremely stable. You will find the emulator performing all the tasks within a few seconds. The games will be flawless. They will not get stuck anymore. BlueStacks has significantly improved the emulator this time. With the new player, they have proved that they are capable of putting a high-end virtual device on our computers keeping the experience close to real. BlueStacks Nougat is currently in the beta stage. 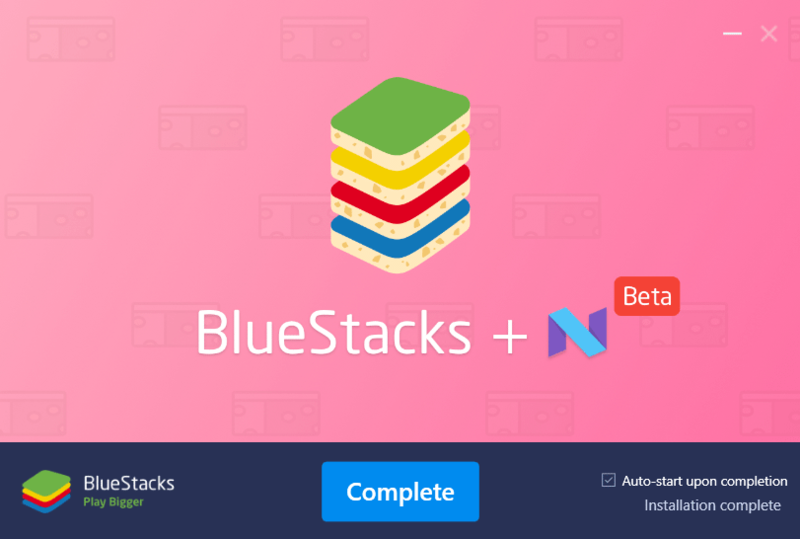 The BlueStacks N Version Beta is already up for download. It requires a very high-end computer to run on. If your computer doesn’t meet the requirements of BlueStacks N Version Beta, it will fail to run. Let’s have a look at the BlueStacks N requirements an then install it on a computer. How to install BlueStacks N and run Apps on it? First of all, you have to enable virtualization on your computer. 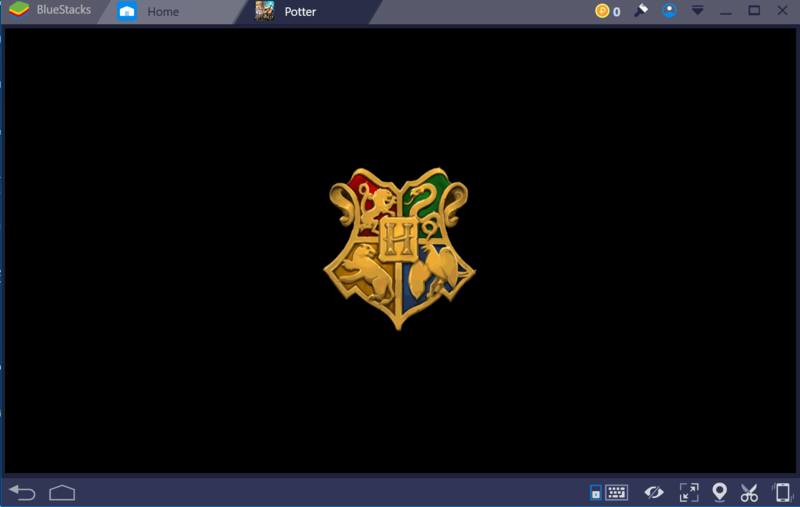 Here’s How to enable Virtualization Technology (VT) for BlueStacks. Now run the BlueStacks N setup file to install it. Open the newly installed BlueStacks now. As BlueStacks opens, it will ask you to setup your avatar for Pika Friends. After setting it up, click on the My Apps tab. 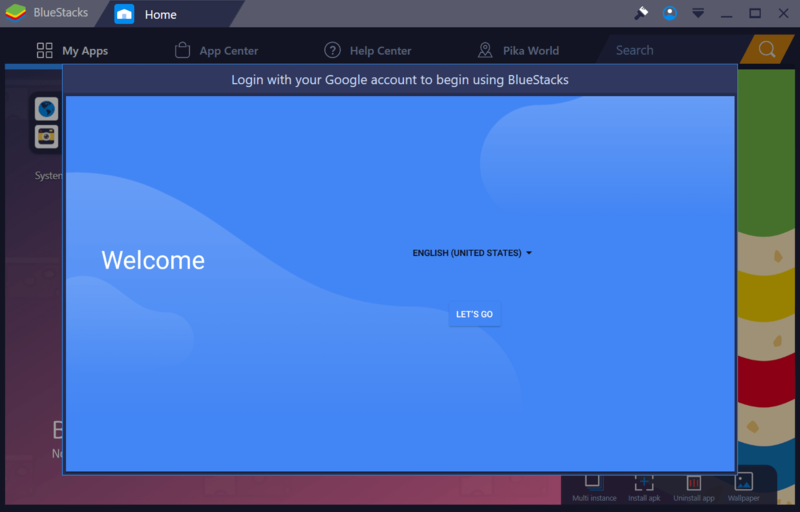 Now the BlueStacks will ask you to setup your Google Account. Follow on-screen instructions and set up the account. Once done, you can get back to My Apps > System app > Google Play Store to install your desired games and apps. Another way to install apps on the BlueStacks N is by downloading an APK file. You can install the APK using the Install APK button appearing in the lower-right corner under the My Apps tab. Rest of the stuff in BlueStacks N is sself-explanatory You can explore it to learn more about it. That’s all. 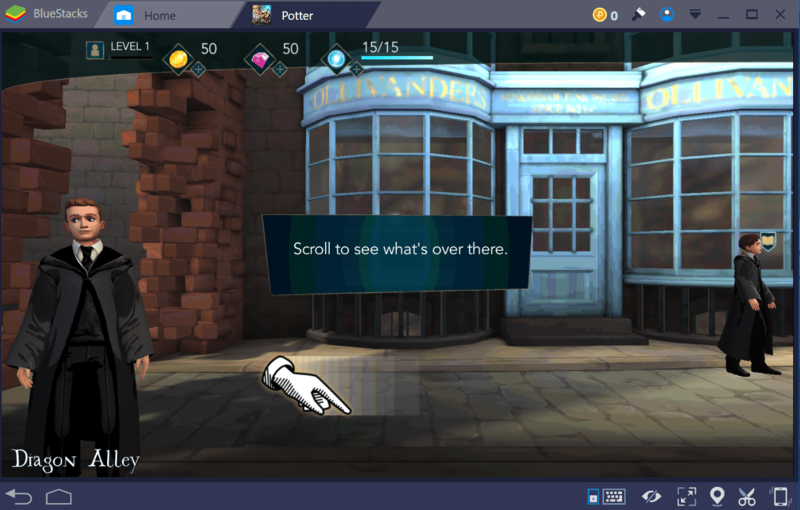 Here I have installed the new Harry Potter Hogwarts Mystery for PC and ran it successfully using BlueStacks N.